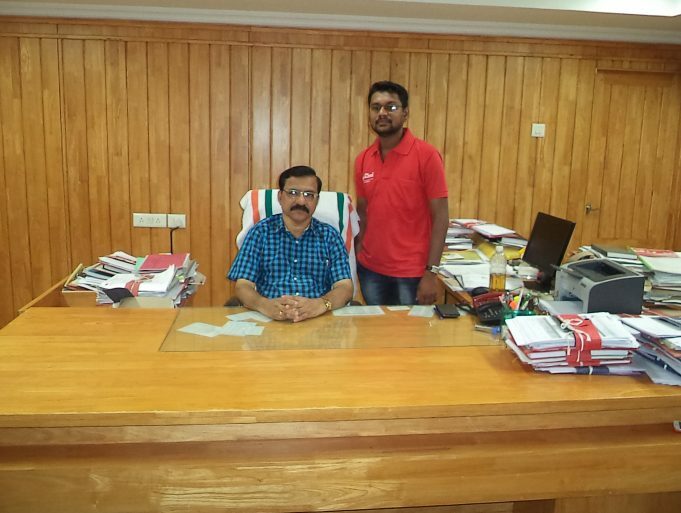 pick2heal is now using at Advanced clinical and research laboratory at Trivandrum medical college which is visited by thousands of patients a single day. Whenever a patient visits a clinical lab for conducting a test, he or she needs to wait there endlessly to get the result. Sometimes they have to wait a day to collect the results. But that’s all going to be a thing of the past. A Kerala based medical start-up is helping the patients by bringing the lab results to the finger tips via online. Called as pick2heal, the start-up provides patients diagnostic results online, so that patient or Doctor can access it any time, that too without compromising privacy. Called as pick2heal, the start-up provides patients diagnostic results online, so that patient or Doctor can access it any time. Once the results are ready, pick2heal will send an SMS alert to patient’s mobile number including a private code. 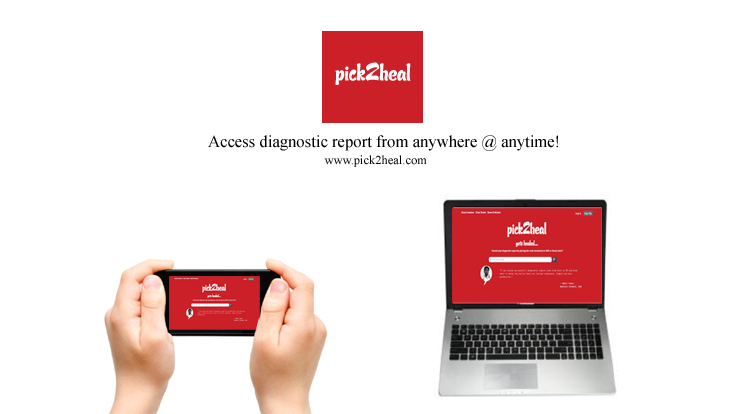 By using this private code, patients can easily access their diagnostic report through www.pick2heal.com from anywhere at any time. pick2heal is the brainchild of Prasanth Peethambaran. Prasanath started pick2heal with an aim to solve the problems of medical sector which is facing an ever increasing number of patients. He says the initial stages of pick2heal was intimidating as he lacks a technical degree or hands on experience to build the solution. “I quit my job and started learning technical stuffs by downloading notes and watching tutorials on YouTube. Once I learned things by myself, I build the first prototype.” Says Prasanth, CEO of Pick2Heal. Prasanth showed his prototype to Mr. K R Hreendra Kumar (M.D KHRWS, Govt. Of Kerala) and he got interested. pick2heal was then used at the Advanced Clinical and Research Laboratory (ACRL) at Trivandrum Medical College which is visited by thousands of patients a single day. Now Hundreds of diagnostic centres across Kerala are using the service of pick2heal to help their patients. Diagnostic centres can easily sign up to pick2heal.com by using your email ID. Once made a sign up, just create a branded internet profile for the diagnostic center and that will act as a website for the lab too. The advantage of this service is that, patients can save their valuable time and in addition to that they can keep their report on the same for future reference as well. pick2heal allows patients to leave the diagnostic center right away after doing test and can save their valuable time. There is no sign up need from patients to access their reports. Patients only need to paste the unique code they will get in their mobile as SMS from pick2heal.com to access their reports. The unique code they patients receive will make sure no one other than him/her can download the lab results. And it’s totally free. India’s digital health start-ups are bridging the gap between doctors and patients. It is estimated that there’s only one doctor for 1,700 people in India, according to World Bank’s 2012 data. Hopefully medical start-ups like pick2heal will solve the problems in our country’s medical sector.